A comment on a post about James Ray, spiritual teacher and killer of four, from a friend of his first vicitim Colleen Conaway. Colleen was my best friend in high school and after high school. She was such an energetic and beautiful woman. I miss her so much. I did not know this article was here. Lynn I’m so sorry and as I was given the news my heart stopped and cried for days. This man needs to rot in jail. There’s something wrong with that judicial system to let this animal do ONLY those couple of years. Colleen, you are always in my heart. The reason I started this blog, nearly seven years ago, was to speak out against the deadly failed self-help teacher James Arthur Ray. At that time, Ray was under investigation by Arizona police for his role in the “sweat lodge” deaths, but he was still running events and claiming that his “mission” was too important to the world for him to stop. Today, seven years, three homicide convictions and one jail term later, Ray still hasn’t realized that he is a failure at this “self-help” stuff, and again needs other people to tell him to stop. As we saw in the previous posts, duped journalist Lizzie Crocker has allowed the convicted killer James Arthur Ray to use her spot on the Daily Beast as a platform not only to advertise his deadly scam, but also to lie about the acts for which he was convicted. Crocker refused to interview the families of his victims and plays dumb about the facts of his conviction. Ray is well connected in the media, so sucking up to him is obviously a good career move. Either that or Ms Crocker is even dumber than Ray is, which I doubt. But on with the final few sentences of this disgraceful piece of fraudulent journalism. For the climax of the article, Crocker recounts how James Ray gave her a sample of his profound wisdom. Ray then told me a story from the Baghavad [sic] Gita, the ancient Hindu text which he read several times in prison, about Arduna [sic] and Krishna. As with everything else in the article, that single sentence is riddled with lies and stupid errors. To start with, there is no one in Hindu mythology called “Arduna”. There is an “Arjuna”, and maybe Ray said it correctly and Crocker misheard him and didn’t bother checking before embarrassing herself. Or maybe Ray confused Arjuna with Iduna from Norse mythology and misspoke. Or maybe Ray misheard it from whoever mentioned it to him, because the one thing which can be excluded is the hilarious idea of Ray reading the Bhagavad Gita (note the spelling, Ms Crocker!) even once, to say nothing of “several times”. Journalists are often confused by the James Ray “sweat lodge deaths” case. This doesn’t surprise me so much — the case is harder to believe than it is to understand. Ray, a failed self-help teacher, cooked three people to death in a bogus sweat lodge. He was trying to merely cook them to within an inch of their lives — hoping to induce the onset of heat stroke with its hallucinatory mental state which might equate with a “spiritual experience”. He went too far and left three people dead. He was later charged with three counts of manslaughter. The jury, missing a great deal of shocking and damning evidence, generously decided to convict him of the lesser charge of homicide. Read the rest of this entry ? Lying For Death Ray Pt 3 – New lies: now a doctor is responsible for Ray’s crimes! I really don’t expect journalists to understand complicated details of difficult court cases. But I do expect them to exercise caution when interviewing convicted criminals about the crimes they committed. This is especially important in Ray’s case, as it was the media who gave him a platform for softball, self promotional interviews. Four deaths later, and they are still queuing up for round five. Three homicide convictions hasn’t convinced any of them that maybe they should be a little more careful before jumping into bed with him. The previous post dealt with so new lies about the death of Colleen Conaway. Lizzie Crocker interviewed Ray and asked him about it — good move for a journalist… but didn’t consider the possibility that his might be a lie — really, a bit dumb, given she already knows about the multiple homicide convictions. I am going through her article in detail, partly demonstrate how quickly this crook can send a journalist off the rails. If you simply take dictation from this fellow like Lizzie Crocker has done, he will play you for a fool, and use you to blame the victims and insult the dead. In the previous post, I got about half way through Lizzie Crocker’s atrocious parroting of the deadly spiritual teacher James Ray’s lies. (2) retreat, protesting innocence and claiming to the be the victim, while lying and covering tracks. James Ray is a walking demonstration of the complete lack of standards and ethics in the self-help industry, the total lack of consumer protection, and the reflexive habit of many to hold “spiritual teachers” to far lower standards than they hold anyone else to. Skepticism and deliberate inquiry can be some protection against this, if people are lucky enough to have discovered that it’s necessary. But anyone can be conned — con artists trigger responses in people, that are safe and normal nearly all the time. They exploit loopholes in social customs and weak points in normal social interactions. A skilled con artist can make otherwise secure people feel helpless and insecure. And in that state, people naturally tend to be more trusting and to take risks they normally would not take. This is a long post and it probably won’t interest all that many people, so I’ve put it below the fold. Enter failed self-help teacher and deadly criminal, James Ray. Enter struggling film maker Jenny Carchman, and struggling journalist Lizzie Crocker…. 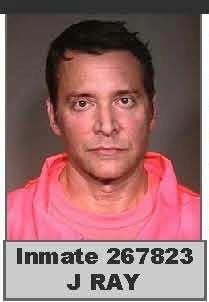 You are currently browsing the archives for the James Ray category.